Guided walking tour in the town will take place on Tuesday evening at 18:15. Welcome Reception is held on Tuesday evening at 20:00 in The University of Tartu Museum (Lossi 25) in the White Hall. 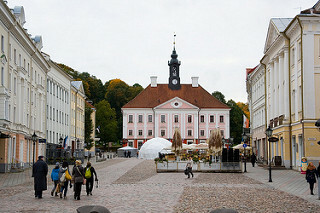 The University of Tartu Museum is located in the reconstructed part of the monumental Dome Cathedral ruins. Conference excursion is on Wednesday afternoon. You can choose between two bus excursions to South Estonia or if you prefer to stay in the town you can visit the Estonian National Museum. The Onion Road is a 30-kilometre-or-so stretch of road spanning the southern coast of Lake Peipus, inhabited by Russian Old Believers who are famed for growing beautiful golden onions. The Russian Old Believers – starovery – have been following their religious traditions rigorously for more than a 1000 years. There are 11 congregations of Old Believers with approximately 15,000 members in Estonia. The Lake Peipus area is the main area where Old Believers live. We drive through the villages of Russian Old Believers Varnja – Kasepää – Kolkja. In Kolkja we visit a local farm, get acquainted with the old traditions of growing onions and have a traditional onion pie and tea. We also visit Kolkja Museum of Russian Old Believers. You can see the traditional clothes, everyday items, handicrafts, tools, photos, books and many other items associated with the Old Believers. The day ends with a light dinner. The bus trip lasts about 5 hours and costs 60 EUR incl VAT. Minimum group is 35 delegates. The circular 1.9 km Valgesoo study trail goes around Valgesoo bog. On the trail you can see peninsulas (strips of land cutting into the bog), typical bog vegetation, old forest plantations, the so-called Baron's pine stand and the wood ant population at the edge of the forest. The guided tour in Taevaskoda is 4 kilometres long and takes about two hours in general. The pace is very relaxed and is suitable for all healthy people of all ages, regardless of their fitness levels. Breaks will be made along the way, during which the guide will tell you interesting facts and stories about the history of Taevaskoja, its sandstone cliffs, the nature, nature protection and hiking. 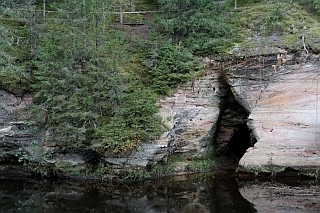 The route will take you through Saesaare to sandstone cliffs passing the Neitsikoobas and the Suur and Väike Taevaskoda. You will experience the magnificent sight from the top of the Suur Taevaskoda and see the beautiful sandstone cliffs. The trip lasts about 5 hours and costs 60 EUR incl VAT. Minimum group is 30 delegates. 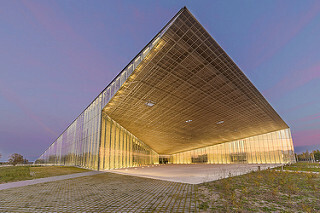 If you prefer to stay in the town you can visit the Estonian National Museum (link to homepage) . NB! Bus excursion 'The Onion Road and Russian Old Believers' is cancelled! Conference dinner on Thursday evening is held in the building of the Estonian Students Society (Jaan Tõnissoni 1). Conference dinner starts at 19:00.